Product prices and availability are accurate as of 2019-04-07 04:57:32 EDT and are subject to change. Any price and availability information displayed on http://www.amazon.com/ at the time of purchase will apply to the purchase of this product. 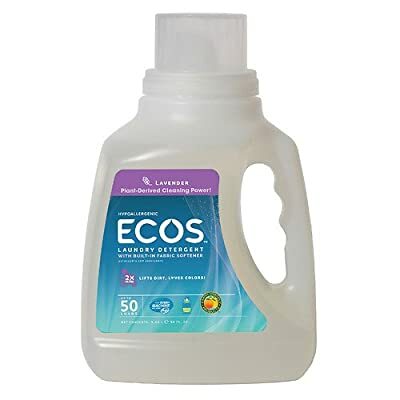 Hypoallergenic Laundry Detergent with Built in Softener. Lifts Dirt, Loves Colors. See the clean & Feel the love. Each bottle of ECOSTM contains nearly 50 years of scientific passion and plant-derived goodness. Our formula is extraordinarily effective at protecting colors and fabrics. Safeguard your home with the entire line of ECOS cleaning products.